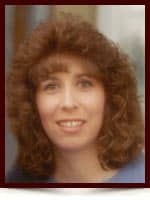 Sherry Leigh Kinney - Edmonton's Burial & Cremation Professionals | Trinity Funeral Home Ltd.
On Monday, November 17, 2014 Sherry Kinney of Edmonton passed away suddenly at the age of 48. She leaves to mourn her loving family; husband Kevin, their children Carmen, Kailey, Ryan and Tanner. Sherry also leaves her parents Gladys and Greg Dauk, her sister Shauna (Bob) Andersen, her mother and father-in-law Ron and Shirley, and two grandsons Ayden and Bentley as well as numerous other relatives and friends.